Founded in 1997, we have a worldwide client base covering the United Kingdom, Europe, Africa, North America and Asia. As part of our dedication to our multinational clients, we can assist in the following languages: Tagalog (Filipino), Hindi, Punjabi, Urdu, Arabic, German, Italian and Sinhalese. We are an international firm with offices located in Richmond Surrey, Earls Court London and Taguig Metro Manila. For over two decades we have established ourselves as a centre of excellence in Immigration, Family, Employment, Wills and Probate. Our practitioners’ legal skills span decades and are complemented by their commitment to supply practical, concise and clear advice. Douglass Simon Solicitors are proud to have acquired the reputation of providing high quality services for competitive fees. Enter your information below and a member of our team will get back to you as soon as possible to discuss how we can help. Covering all applications to the Home Office on Immigration, Naturalisation, Human Rights and appeals to the Tribunals, High Court and Court of Appeal as well as Judicial Review and bail and detention matters. Assisting businesses and corporations with obtaining sponsorship licences and maintaining their migrant workforce. Advising and assisting entrepreneurs and investors. Advising and supporting employers on the Law, Procedures and Regulations. Dealing with Tribunal litigation and preparing contacts and settlement agreements. Covering all areas of employment law including Unfair Dismissal, Redundancy and Discrimination. Estate Administration, obtaining grant of Probate and letters of Administration and dealing with contested Estates. Our family team deals with all aspects of family law. Our solicitors are all members of Resolution committed to providing a constructive approach and solution to Family problems. 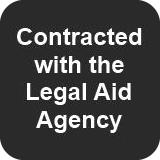 For over a decade Douglass Simon Solicitors have been active in assisting those who are unable to afford legal advice. As our way of giving back to the community we provide initial advice absolutely free in our legal surgeries at our Earls Court & Richmond Offices. We are able to assist in a wide range of legal issues. Drafting Wills, Lasting Powers of Attorney and applications for Deputyship at the Court of Protection.